Situated along the western coast of Morocco, the port city of Essaouira is rich in history. The city’s name comes from the walls, which once surrounded the city centuries ago. The city also served as an important port, opening up trade to the rest of the world. Although tourist-friendly, this region of Morocco is not overrun by tourists, offering a more relaxed and unique adventure for Moroccan travelers. From discovering the history of the region, to basking in modern day sports and activities, we found the top seven things to do while touring the City of Essaouira, Morocco. Remnants of the city’s past are evident in this UNESCO World Heritage Site. The Sqala of the Kasbash is the city’s old artillery platform, which still stands. Take a step back in history as you view the 18th and 19th century European canyons and what is left of this centuries-old community. 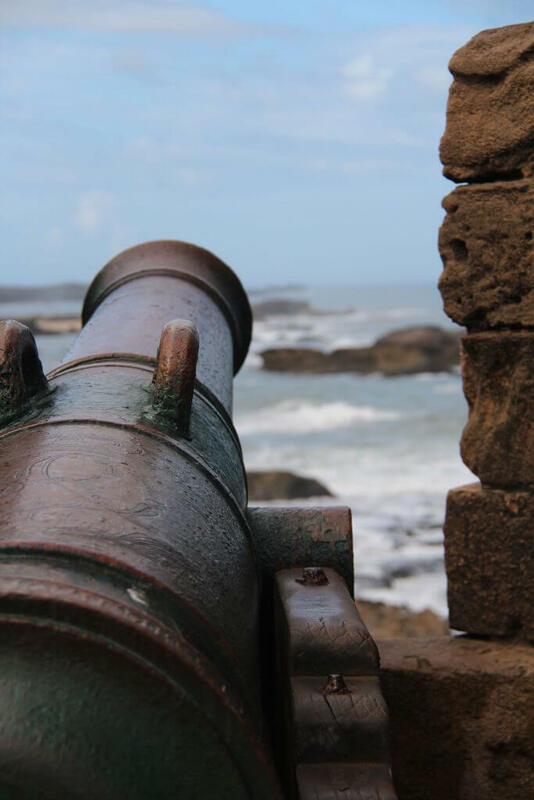 The ramparts also provide an unobstructed view of the medina and the coastline of Essaouira. The area features a number of historical sites that once helped protect the city from possible foreign invaders. Walk around the ramparts and you might feel a little bit like you are in the Game of Thrones as scenes from the show are filmed here. Enjoy the view! Essaouira is an area rich with religious history. This city once included a relatively large Jewish population. Today, the region is still home of the Rabbi Chaim Pinto synagogue, as well as a historical Jewish cemetery and a Christian cemetery. The Mogador Christian cemetery is not kept up very well, but is evidence to how different faiths were present in Essaouira throughout the past. There is also a small synagogue, the Simon Attias Synagogue, that you might find interesting for a short stop. This coastal community also provides some of the freshest fish you will find anywhere in the world. Get up early in the morning to watch the fishing boats return to port in Essaouira, full of the most delectable offerings. Smell the ocean air and fish as you look at the iconic blue boats lined up by the port. 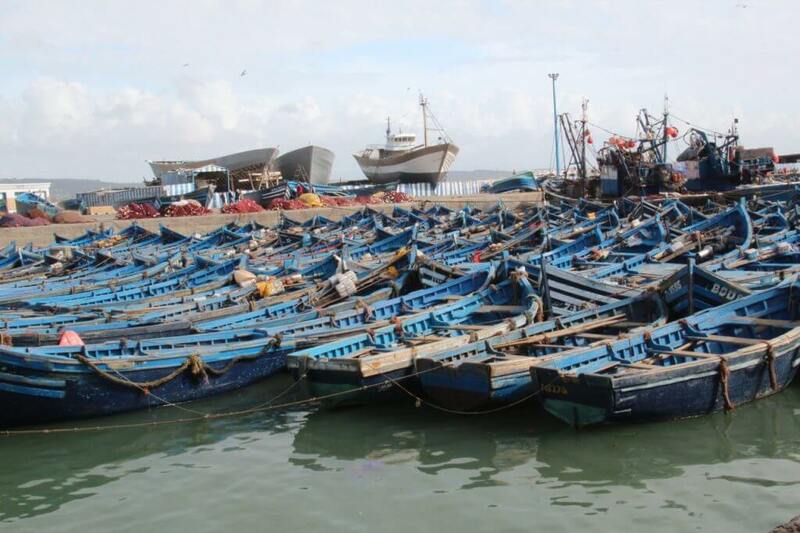 You’ll get a true Essaouira experience by visiting the fish market. Stop by the nearby grilling stations to choose your lunch or order a seafood platter. 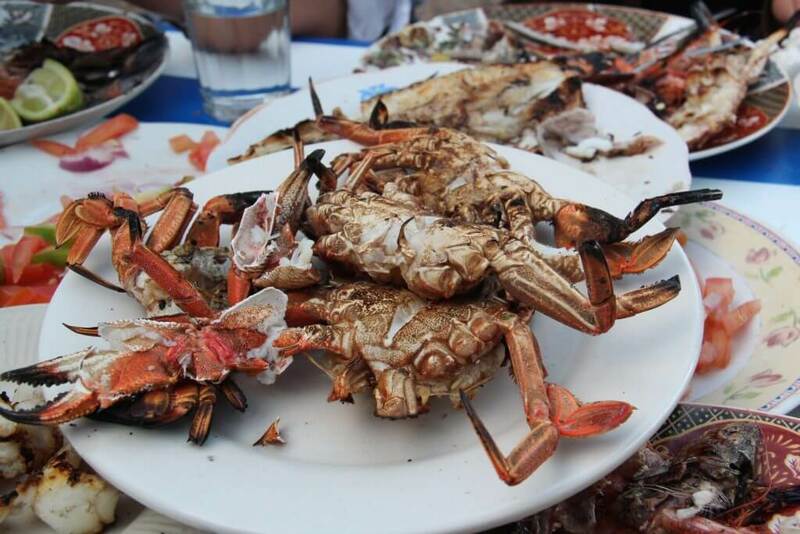 You cannot get a fresher or more authentic meal…watch out for the seagulls! You can’t visit Essaouira without experiencing some of the local arts and crafts. The region is known for woodcarving and cabinet making. Expect to find beautiful hand carved decorative pieces, as well as large furniture for sale at the many souvenir shops and markets around town. There are also plenty of hand woven blankets made from wool or silk, in vibrant colors and at affordable prices. The region is also popular for its leather goods, crafted with high quality in mind. In addition, argan oil comes from this region, so expect to find plenty of this reputed anti-aging and skin moisturizing oil at market. Wander through the small medina and enjoy shopping at the small stalls. Try on the brightly colored flowy clothing and pick out some souvenirs for your house when you return. As you are browsing, don’t forget to try the Nutella crepes! If you are an outdoorsy group, you will find Essaouira to be the perfect place for your outside activities and adventures. This is because the area has a constant and powerful trade wind, which blows onto the bay. The wind makes the beach ideal for kitesurfing and wind surfing. If you don’t know how to kite surf, try taking some lessons! This could be a fun way to make memories with your group. You will also find plenty of places to surf. You can rent surfboards and take surfing lessons, as well. For a uniquely Moroccan adventure, visitors can take a camel ride along the beach, or into the desert. There is also the opportunity to explore the sand dunes by quad-bike, on foot or by horse. You can even pitch a Berber tent among the dunes to briefly escape the area’s notoriously high winds. This one is for those enamored with Moroccan art. Essaouira prides itself on its culture and tradition. It has been a source of inspiration to many well-known artists. The region features a number of small art galleries. On top of that, each June, Essaouira hosts the Gnaoua Festival of World Music. This annual event features artists from all regions of the world. The four-day festival includes not only just gnaoua music, but also jazz, reggae and rock music. The local art museum opened in the 1950’s, showcasing a mix of African and European influence. Dar Souiri features a small library as well as an art gallery. The Sidi-Mohammed-Ben-Abdallah museum includes an impressive collection of art from the region, including rugs, costumes, furniture and jewelry. 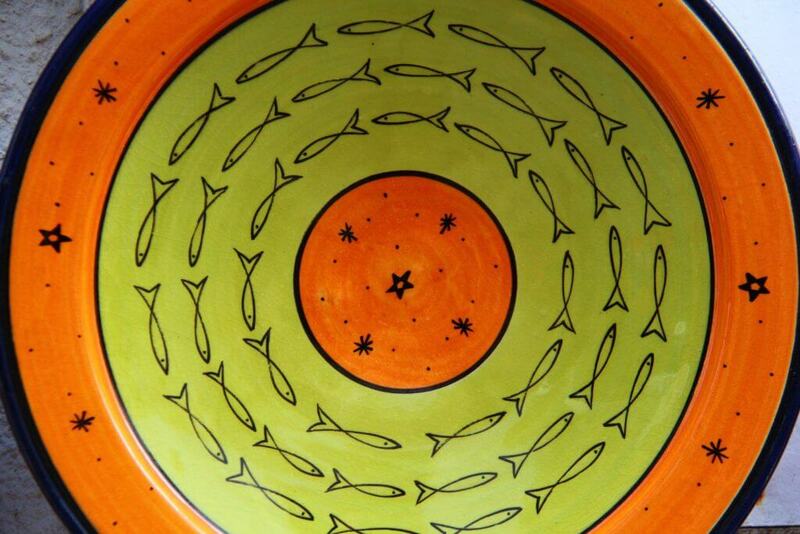 Other local artists have small workshops that you can discover on your trip. If you are traveling with a family to Essaouira head to Jakady. This recreational area and playground is an amusement park, of sorts. The unassuming area includes underwater diving, camps and workshops, as well as miniature golf and a rope course. No matter whether you and your family are in search of family fun, athletic adventure, a trip back in history or some unique art and craftsmanship, there is plenty to offer any traveler when visiting Essaouira, Morocco.